For all the valuable lessons I learned from my father, one of the more impactful ones came to me second-hand. I think of it often as I start my day, and it makes me ask myself two questions: Whose life or circumstance can I improve today? Among my circle of family and friends, who will end their day knowing that I really care about them? When Donna and I moved to Coral Springs we decided to experience everything the town had to offer. We tried to go to all the celebrations, concerts, parades, and art festivals. We attended our first holiday parade just months after we moved in, and tried to adjust to the notion of mid-80 degree weather just weeks before Christmas, and Santa Claus riding in a convertible Corvette. The parade had the requisite fire trucks, high school marching bands, and plenty of local politicians we didn’t know. As we watched the fathers and daughters from the Indian Princess organization walk past, I recognized the largest chief in the parade. He wore a feather headdress and beaded shirt. His daughter, who only came up to his waist, bounced along next to him. Big Mike. He and I worked in different departments for the same bank and I’d occasionally run into him at work. I first met him when he worked for my father at another bank. He was as gregarious as they come, and he was keeping the tribe entertained as they walked along. Mike momentarily broke his stride when he saw me in the crowd. He feigned horror as he glanced at the tribe of fathers and daughters around him, then pointed an accusatory finger at me and yelled, “Your old man is responsible for this, Sprague!” He let out a booming laugh as he walked past, and then Mike and his headdress faded from view. “Yes, and I just did” was the response. The meeting was over. Mike said that within forty-eight hours he was engaged, and he had his raise. He and Sarah got married, had a couple of kids, and a decade later, he was living the dream. 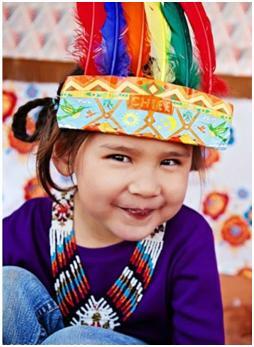 Dressing up in a headdress to walk with his daughter and the other Indian Princesses. Working on homework with his son at the kitchen table. Getting sunburned on the soccer field at Mullins Park. My initial reaction to Mike’s story was pretty cynical. Sure it made for a good story, but you could get fired for saying something like that, couldn’t you? I figured I got a slightly embellished version of reality. So I called my dad. During my working career, I’ve occasionally found myself in a position to nudge somebody and really make a difference. Unfortunately, there were times when I didn’t recognize it in the moment, and the opportunity passed. Other times, I bit my tongue because I was afraid of the consequences. Maybe I’d jeopardize a friendship. Maybe I’d overstep my bounds. So I played it safe. And life continued on. Then I became a Vistage Chair and was introduced to the concept of “carefrontation,” a willingness to confront someone from a basis of caring deeply about them. The concept seems appropriate when there’s a crisis, or a fatal blind spot is about to lead to a disaster. But what about the conversation that takes place when the person is in blissful ignorance, and there’s no hint of an impending crisis? It requires you to step out in faith – that it is simply the right thing to do. 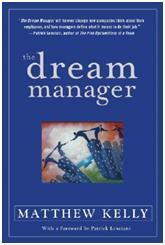 - A Vistage member read the book the Dream Manager and began to ask employees: What is your dream? One outstanding young salesman said he dreamed of working internationally, despite the fact that the Company’s operations were all domestic. “Then you need to do that,” his boss told him. The discussion led to the Company assisting the young man in applying to a college with a strong international business program and securing a scholarship to assist financially. The Company had great plans for the young man, but the plans were theirs, not his. The Company lost a great employee, but gained the gratitude of a young man pursuing his dream. - I spoke to a woman who had a college professor challenge her during her senior year. She was noncommittal about her plans after graduation, when one of her professors threatened to flunk her if she didn’t take the LSATs – despite her A grade in his class at the time. She took the test, went on to law school, and launched a career that involved practicing law, an executive position at the SEC, and a presidential appointment as a Commissioner on the Federal Communications Commission. According to Susan Scott, the author of Fierce Conversations, the quality of our relationships relates directly to the quality of our communication. Sometimes we have to take a risk to make a difference: the risk of an uncomfortable conversation; the risk of losing a good employee; the risk of upsetting the relationship itself. Sometimes it’s no more than giving someone a nudge when they least expect it. All because a professor took an interest – and took a risk. In these days of virtual employees, email blasts, and text message communications, be willing to take a risk and look for opportunities to give your friend a nudge. It sends a simple, but profound message: I care. I’d love to hear your stories about people who have influenced you. Who challenged you, or encouraged you, and changed your life in the process? Putting it another way, who gave you the nudge you needed? You draw such a sharp distinction between playing it safe and living by “the rules” and taking a risk to make a positive difference in someone else’s life through this powerful story! Your father was one gutsy man to get so personal with his employee,tying in compensation with an engagement. But look at the result. It must have been a intuitive gesture and he must have trusted his feelings on this. It seems like it is all about taking a risk and if it is done with “carefrontation” (love that word and concept! ),it can lead to a win-win situation. It reminds me of when my precious Aunt Rose told me, “I will not speak to you again if you don’t marry this guy,” when I was hedging the decision. It turned out to be just the nudge I needed to make the best decision of my life. Sometimes we think we know what we need but it takes someone else who cares to help us make a decision. Karl: I was struck by this story of your dad and his influence on a co-worker. I have a similar story but it involved a close friend and my ultimate decision in careers. It happened on cold night on a basketball court where I had been playing one-on-one with my best friend, Albert. He and I had been very close since we met in the Marine Corps at Camp Pendleton in California, where we both were in artillery training. We were discussing what we were going to do in civilian life and he said he was joining the family business as a brick layer. I told him I was going to take the police and fireman’s test in Phildaelphia. He stopped bouncing the basketball looked at me and tossed it hard into my abdomen, causing me to have “the wind knocked out of me”. He felt that public service was an admirable career; he thought I was too smart to spend my life doing this work. He told me to get my act together and get back to college. Needless to say, I was surprised and a bit upset at his “carefrontation”, but I took it to heart. I enrolled in school and several years later landed a great job in banking and the start of a long career in the financial services industry. Years later, I wrote Albert a letter thanking him for having such an influence on my professional life. 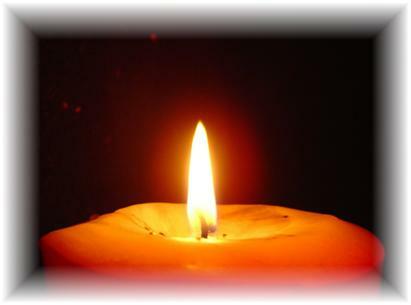 When I call him several weeks later, his wife told me that he had only seeen him weep on three occasions in the 30 years of marriage, the birth of their two children, the passing of his parents and my note to him. He had forgotten that night three decades earlier but I had not and never will. John, I’ve known you for twenty years and I’ve heard you tell a thousand stories from your past (I’ve been counting). I’ve also heard a lot about Albert. This is the first time I’ve heard about his conversation with you and the impact that it had. I can’t help but think that it helped shape your approach in always being willing to help others, with career advice, connections, and telling people what they need to hear – when they need to hear it. You’ve made it an art form. Albert’s advice led you to Florida – and to a partnership we enjoyed for a dozen years. I owe him one!